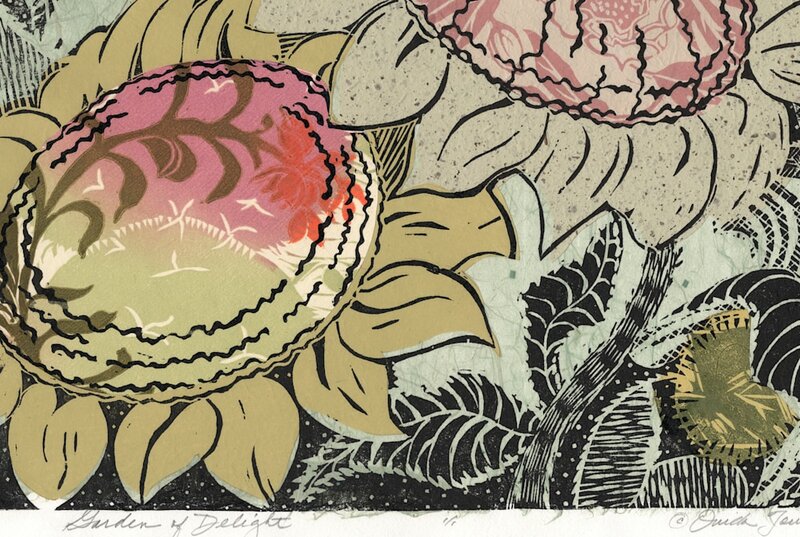 Garden of Delight, a new sunflower woodcut by Ouida Touchon, New Mexico artist. Sunflowers from the garden!! 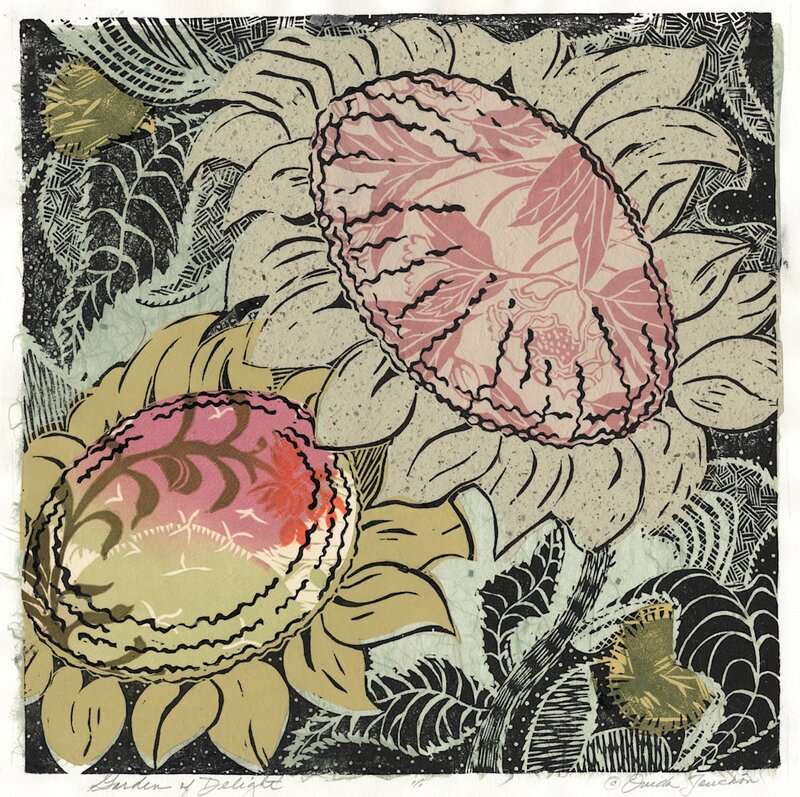 Original woodcut print with chine colle, a process of adhering fine art paper fragments beneath the printed image. This one of a kind hand print is produced in my studio in New Mexico and is mounted on a base sheet of heavy acid free paper, signed and numbered by the artist 1 of 1. It will be carefully packed and shipped to you from here in NM and a check for your shipping fees will be enclosed in the package, Original artwork ships for free! New work! More sunflowers from the garden, this one is considered 'delightful' with the mix of different fine art and printed paper fragments collaged beneath the woodcut overprint. Fine art prints for sale in many sizes and on fine art paper or stretched canvas...you choose! One of a series of new images in woodcut, this one, Garden of Delight is inspired by several handprints that I cut up to use as collage for the forms of the sunflowers. Enjoy and find a special place in your home for this gorgeous design.